By Keith Cowing on September 29, 2006 11:18 AM. "NASA is seeking information from prospective commercial and other non-NASA users of the Shuttle Landing Facility (SLF) at the Kennedy Space Center (KSC) to support an ongoing Environmental Assessment (EA) of commercial suborbital and orbital spaceflight; support and special purpose aviation; and other compatible uses. See attached documents for detail." By Keith Cowing on September 29, 2006 9:00 AM. "Virgin empire boss Sir Richard Branson is in negotiations with British television networks to launch a talent show for aspiring astronauts." 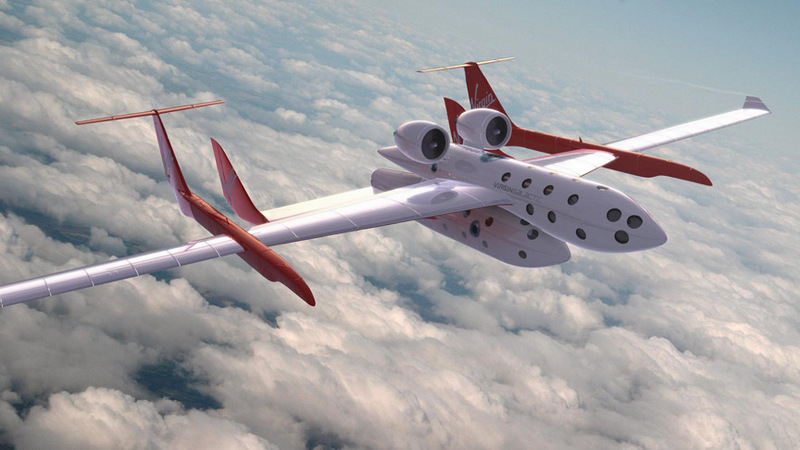 Editor's note: Sir Richard Branson, Founder of the Virgin Group, will be on hand with his staff at Wired's NextFest in New York City on Thursday to unveil a full scale mockup of his SpaceShipTwo commercial suborbital spacecraft. 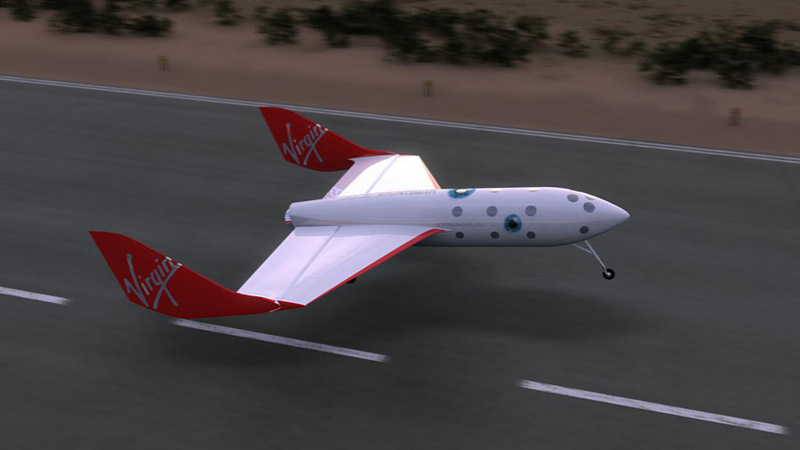 SpaceShipTwo is being developed by Branson and Burt Rutan's Scaled Composites. A fleet of five vehicles is planned. By Keith Cowing on September 26, 2006 9:43 PM. "But this is just the beginning of Anoushehs journey. The real journey begins when she returns to Earth and how she takes the excitement of the moment and transforms it into long-term change - for the better." "Ms. Ansari is a Woman of Mass Instruction (WMI) in the global contest of ideas. While so many pillory the United States these days and the west in general for being in decline, decadent, yada, yada, yada, Ms. Ansari's exploits explode these myths. Would she have this opportunity if she grew up in any middle eastern country? How about South America?" By Keith Cowing on September 25, 2006 4:41 PM. Editor's note: Just before the launch of STS-115, NASA held a press opportunity. Among the participants was Mike Suffredini, NASA's Space Station Program Manager. I asked Suffredini a question related to the decisons being made by Russia with regard to delays it was willing to make in the launch of the Expedition 14 crew aboard a Soyuz - and how this affected the dates on which NASA could try and launch Atlantis. By Keith Cowing on September 25, 2006 1:11 PM. "Dozens of space travel enthusiasts, most of them women, burst into applause at dawn at an observatory near the capital as the spacecraft carrying the first Iranian woman to travel into space appeared in the sky. ... "She will shine in Iranian history as a woman who broke barriers and succeeded in conquering space with her endeavor," Dadbeh said. "Ansari has shown Iranian women the road to progress. We only need to believe in ourselves," Dadbeh said, as another woman, Homa Parvaei nodded in agreement." By Keith Cowing on September 24, 2006 7:21 PM. Editor's note: According to comments made in this post on her blog, Anousheh Ansari is not "blogging from space", as some of her pre-launch hype claimed she would be doing. Instead, she is simply sending emails that are eventually posted on a website/blog - one that is totally maintained by someone else. Yawn - astronauts have been doing this for years. "So first lets take care of a few housekeeping items. I do not have realtime access to email. The email process is a batch process so it happens three times a day. I will do my best to get at least one entry in per day. I do not have access to a web browser so I cannot read all your comments. I get some of your questions and greetings forwarded to me and I know that many people are sending their well wishes and words of inspiration." By Keith Cowing on September 23, 2006 11:26 PM. "Postponed three times since March, the first launch from Spaceport America, near Truth or Consequences, is now planned for Monday. "Zero hour" is 7:30 a.m., with a 21-foot by 10-inch UP Aerospace Inc. rocket carrying 50 scientific payloads. The company's SpaceLoft XL rocket will fly to an altitude of about 70 miles." By Keith Cowing on September 21, 2006 4:05 PM. Editor's note: Robert Bigelow told AIAA Space 2006 attendees today here in San Jose that he plans to put a three person space hotel into orbit some time between 2009 and 2010. The module should have a sufficient lifespan such that private human transportation systems can come online and and send people up to visit it. One way these visits may happen is via a manned Atlas V - Bigelow also announced today that he had an agreement with Lockheed Martin to study how to man rate the Atlas V rocket. By Keith Cowing on September 20, 2006 12:31 PM. "Blue Origin, the secretive spaceship venture backed by Amazon.com founder Jeff Bezos, has won an experimental permit from the Federal Aviation Administration, opening the way for rocket tests to begin at the company's West Texas test site and spaceport-to-be." By Keith Cowing on September 20, 2006 11:14 AM. NASA Forms Partnership With Red Planet Capital, Inc.
"NASA has joined with Red Planet Capital, Inc., San Mateo, Calif., in a partnership to help the agency gain access to new and innovative technologies through the venture capital community. Red Planet Capital is a nonprofit organization that will establish a strategic venture capital fund for NASA.."
"Nearly a year after the National Aeronautics and Space Administration announced its intention to launch into the venture capital market, Red Planet Capital lifted its cloaking shields Friday with partner announcements and a new web site, and acknowledged it was beginning to look at business plans." By Keith Cowing on September 18, 2006 12:09 AM. "The International Space Station's next crew began the journey to its new home early Monday. The Soyuz rocket that carried Expedition 14 into space lifted off from the Baikonur Cosmodrome in Kazakhstan at 12:09 a.m. EDT. Expedition 14 Commander Michael Lopez-Alegria and Flight Engineer Mikhail Tyurin are scheduled to arrive at the station at 1:24 a.m. Wednesday. Flying to the station with them will be American Anousheh Ansari, the first female spaceflight participant to visit the orbiting laboratory. She is flying under contract with the Russian Federal Space Agency." By Keith Cowing on September 17, 2006 7:19 PM. Editor's note: As is usually the case with paying passengers heading for the ISS, there is some need to whip up some hoopla to promote the flight. Anousheh Ansari's flight is no different. 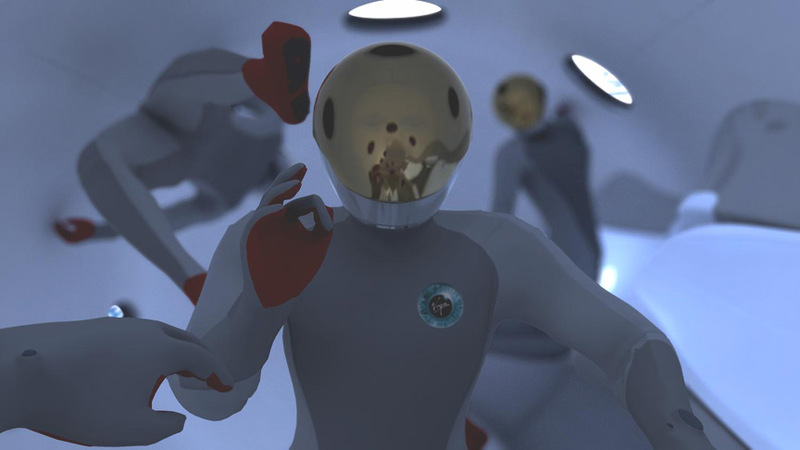 Alas, some of the claims made by Space Adventures don't quite hold up to close scrutiny. Moreover these marketing ploys detract from the true value that could be realized from her flight. Continue reading Stop Hyping Anousheh Ansari - Just Let Her Inspire People. By Keith Cowing on September 17, 2006 4:19 PM. "The Iranian news media has not made too much of the first Iranian woman scheduled to go into space, but there have been a number of reports about it and this Iranian space site has a number of pictures. So it is interesting to me that one of the photos has clearly been photoshopped from the original Energia site ..."
By Keith Cowing on September 16, 2006 10:21 AM. "Religion can be a pretty touchy subject nowadays, and Iranian-American relations are another sore point. So as Anousheh Ansari prepares to become the first Iranian-born Muslim woman to travel to the international space station, there are a lot of political pitfalls to be avoided. At the same time, there are a lot of opportunities for inspiring young people, particularly in Iran. So far, Ansari is doing a good job on pitfall avoidance as well as international inspiration." "However, both men said Anousheh is disappointed that both NASA and Russian officials not only forbid her to wear the Iranian patch, but also argued they want her to cover up the Iranian colors on her personal patch that displays the American colors as well." By Keith Cowing on September 15, 2006 3:45 PM. "The Pentagon has reiterated its support for merging the government rocket launch businesses of Lockheed Martin Corp. and Boeing Co., and antitrust authorities are likely to vote in two to three weeks on the plan, a source familiar with the matter said on Friday." By Keith Cowing on September 13, 2006 2:58 PM. "US telecommunications entrepreneur, Walter Anderson, pleaded guilty to tax evasion and fraud Friday in relation to what authorities said was the nations largest-ever criminal tax case. ... He is also a director of MirCorp, which was originally formed to privatize the MIR space station. MirCorp arranged for the first space 'tourist', Dennis Tito, to visit the International Space Station (ISS)." By Keith Cowing on September 12, 2006 3:21 PM. "A NASA inspector general has determined that agency officials are attempting to noncompetitively renew a software vendor's licenses on a long-term basis, despite previous protests regarding the acquisition and NASA's promise to issue a new competitive solicitation." By Keith Cowing on September 12, 2006 9:08 AM. "This is the first blog I have ever written. Im usually a private person, but with what has happened in my life, I feel an obligation to share this experience with everyone out there." By Keith Cowing on September 7, 2006 9:10 PM. "A source selection document explaining NASA's rationale for choosing Lockheed Martin to build the Orion Crew Exploration Vehicle (CEV) says the aerospace giant bested rival Northrop Grumman/Boeing's bid in the areas of mission suitability, cost, and past performance." By Keith Cowing on September 7, 2006 12:08 PM. "Lockheed Martin announced today the proposed sale of its ownership interests in Lockheed Khrunichev Energia International, Inc. (LKEI) and ILS International Launch Services, Inc. (ILS) to Space Transport Inc. Terms of the transaction were not disclosed." By Keith Cowing on September 6, 2006 3:15 PM. "... the FAA, Office of Commercial Space Transportation (AST) has determined that issuing the experimental permits and/or licenses analyzed in the EA to Blue Origin would not significantly affect the quality of the human environment within the meaning of the National Environmental Policy Act (NEPA). 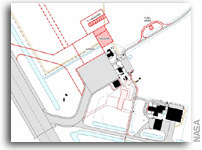 Therefore the preparation of an Environmental Impact Statement (EIS) is not required and AST is issuing a Finding of No Significant Impact (FONSI)." By Keith Cowing on September 5, 2006 1:41 PM. 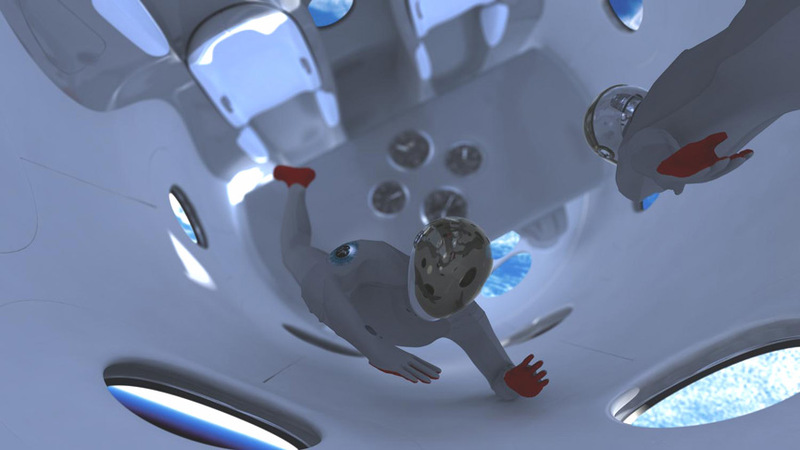 "SPACEHAB, Incorporated , a leading provider of commercial space services, today announced financial results for its fourth quarter and fiscal year 2006 ended June 30, 2006. Fourth Quarter Results - SPACEHAB posted a fourth quarter fiscal 2006 net income of $48,000, or $0.00 per share, on revenue of $14.6 million compared with a fourth quarter fiscal 2005 net income of $0.1 million, or $0.01 per share, on revenue of $19.0 million. ... Year End Results - SPACEHAB's net loss for fiscal 2006 was $12.4 million, or $0.97 per share, on revenue of $50.7 million compared to a net income of $5.2 million, or $0.37 per share, on revenue of $59.4 million. By Keith Cowing on September 1, 2006 12:00 AM. "The Commercial Space Act of 1998 (Pub. L. 105-303) modified section 70105(b)(3) of the Commercial Space Launch Act to allow the Associate Administrator to waive the requirement to obtain a license for an individual applicant. The Associate Administrator must determine that the waiver is in the public interest and will not jeopardize the public health and safety, the safety of property, or any national security or foreign policy interest of the United States. We are amending our regulations to reflect this authority." This page is an archive of entries in the Commercialization category from September 2006. Commercialization: August 2006 is the previous archive. Commercialization: October 2006 is the next archive.